Do you know the difference between a fixed mindset vs. a growth mindset? Basically, a mindset is our set of belief. Mindset also is the key factor of our attitude. According to Dr. Carol Dweck, there are two different kinds of mindset which are fixed mindset and growth mindset. Have you met someone who always complains about something.. I mean everything? Most Likely, this individual has a fixed mindset. If you want to be successful or if you want to change the way how you live, the first thing you need to change is your mindset building habit. Find out how you can build your own growth mindset! Hear criticism as part of your learning opportunity not to ignore or take it personally. See others success as I can do it too not to be jealous about it. 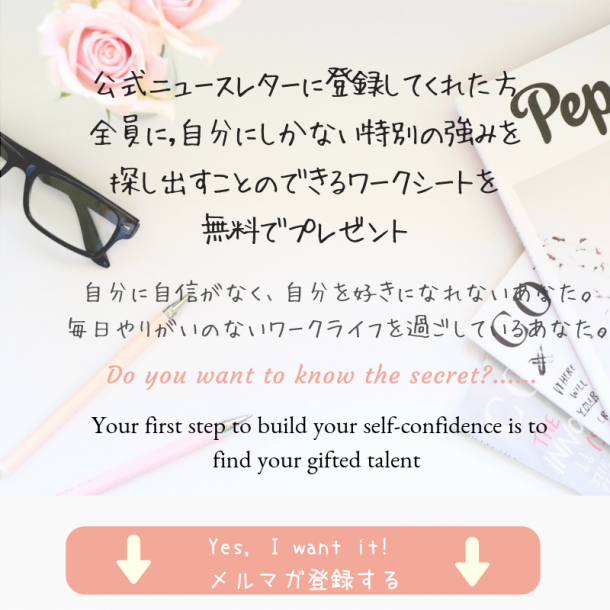 そのままのあなたでOKです。You are already good enough to take your first step towards what you want to do!